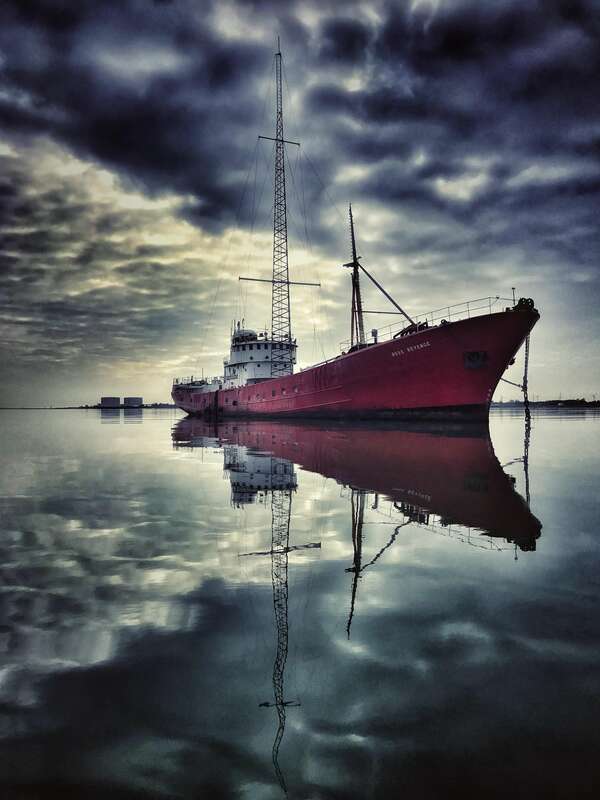 It is believed she is the last example of a distant water side trawler and the only remaining pirate radio ship in the world. She is significant as she remains as she was built, only with the addition of radio broadcasting equipment which remains in place. 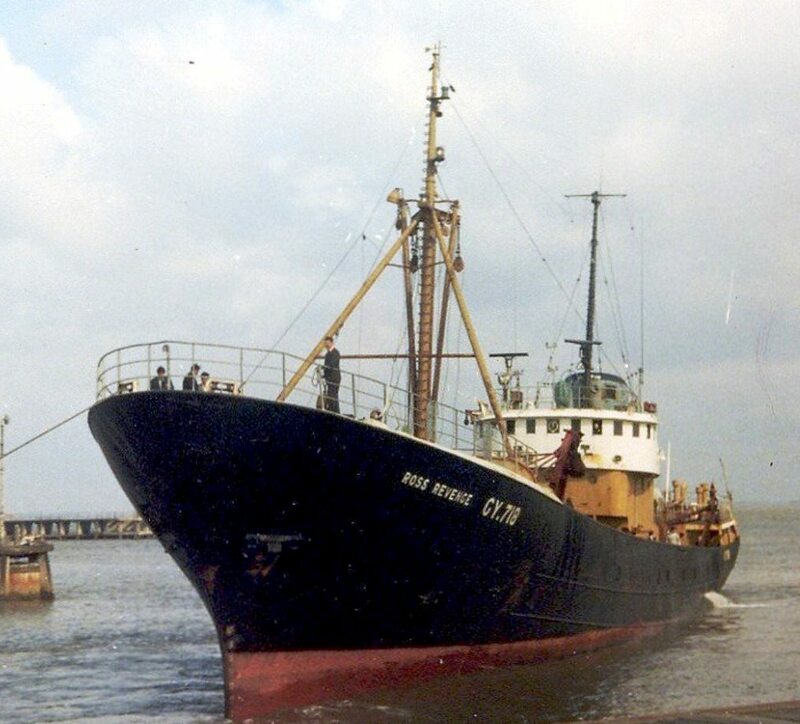 Ross Revenge was built for Icelandic owners, but sold on Ross Fisheries in 1963. 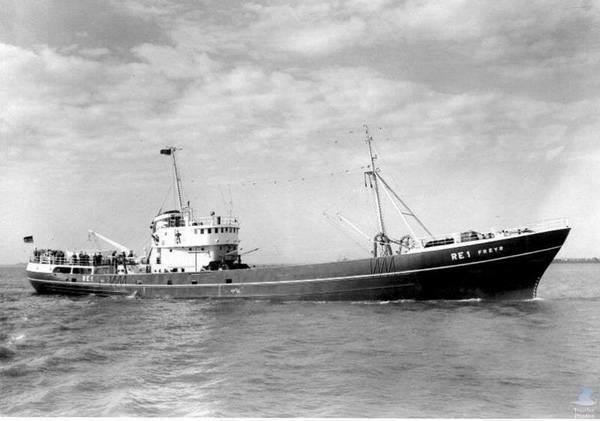 Thereafter she operated from Grimsby, bringing in record catches and then took part in the final Cold Boat, ramming an Icelandic gun boat. 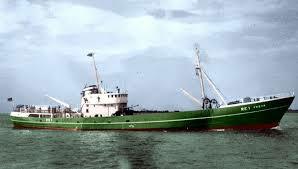 After the collapse of the UK fishing industry she was awating scrapping in Cairnryan but was purchased by Radio Caroline and taken to Santander to be converted to a radio broadcasting ship. 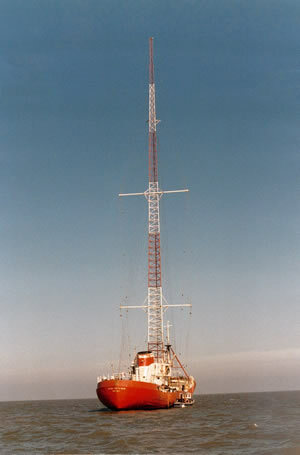 The tallest mast ever placed on any ship was put on her to facilitate broadcasting. 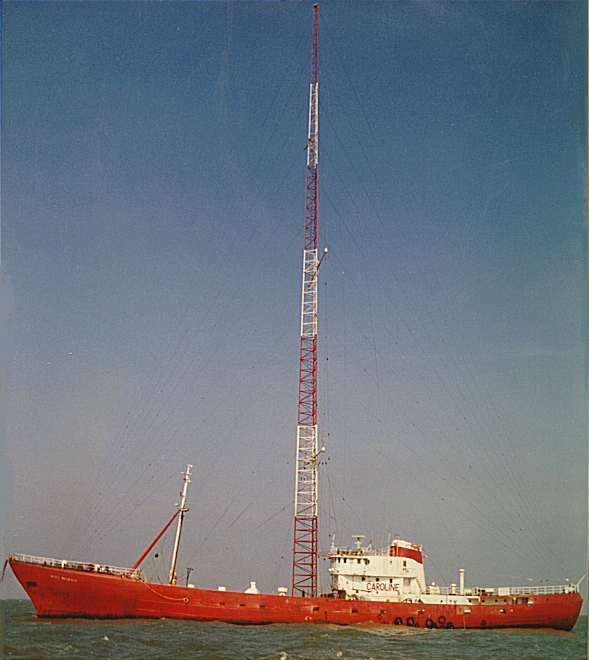 In her radio role she stayed permantly at sea from 1983 to 1991. The vessel was shipwrecked in 1991 and brought to Dover harbour in very poor condition. Volunteers paid the salvage costs and started to make repairs which are ongoing today. There has been no outside funding. Donations to the value of £250.000 have been raised and spent since 1991. Rode out the 1987 hurricane but she lost her 300ft mast. Raided at sea by armed personnel from the Dutch authorities. Shipwrecked on the Goodwins, being one of the few vessels, if any, to survive this.